So far a quite day, no big moves by the markets. BUT, this could be a good thing. 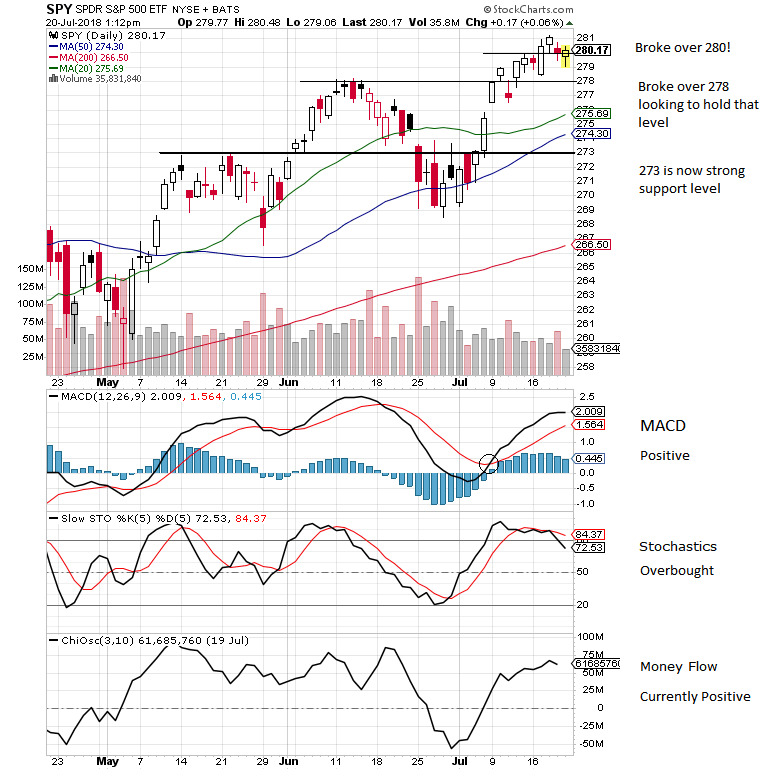 Taking a look at my 3-month SPY chart below, we have broken above the 280 level. This break and the strong advance that led to the break have put the Stochastics into a prolonged overbought situation. The markets have pushed forward with good MACD and Money Flow momentum. So why could this slow sideways action be good? Well as we see on the chart, so far with Friday's action the Stochastics are becoming less overbought. Some pullback attempts may happen as we establish a new trading range. We see good support at 278 and next resistance level just below the all-time highs near 273. With our Daily Trackdowns, additional analysis/observations during the trading day in the comments by us or our readers.